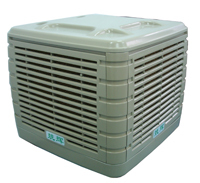 With JINGHUI evaporative cooling, a complete air change occurs every one-to-three minutes. This offers a great health advantage over traditional refrigerated air conditioning, which employs a complicated "closed" system that recirculates the same stale dry air over and over. Constant cool air movement pushes heat out -- along with stale air, smoke, odors and pollution. Evaporative cooling helps maintain natural humidity levels, so wood furniture and fabric fibers do not dry out prematurely. Evaporative coolers do not require an airtight structure for maximum operating efficiency so you can leave doors and windows open.